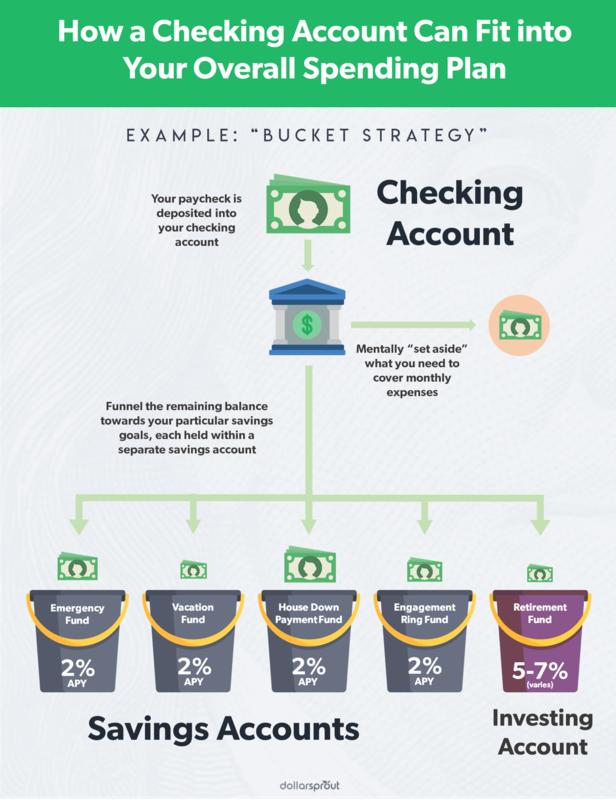 What is a Checking Account, and When Should You Use One? These days, it’s difficult to conduct daily transactions without access to a checking account. Historically, however, banks are not the most trusted institutions. Maybe that has to do with the fact that banking is so directly tied to the financial success of the customers who use it — or the lack thereof. Maybe it has to do with a laundry list of banking scandals, stretching back to the first money traders in ancient civilizations. But love it or hate it, putting your money in a bank account is a necessary component to financial success. As the economy has steadily improved since the 2008 recession, more and more Americans have started using mainstream banking services. When you need to safely store your money in an easily-accessible location, nothing does the trick like a bank account. One of the most popular types of accounts is a checking account. Here’s a rundown of how they work, the benefits of opening one, and how to choose the right bank. What Should I Look for in a Checking Account? Should I Open a Checking Account with an Online Bank? A checking account is a deposit account provided by banks and credit unions to store money for everyday use. They’re the more casual twin to a savings account, which is meant to hold money for long-term use. If a savings account is like a wine cellar, then a checking account is like a refrigerator or kitchen cabinet. 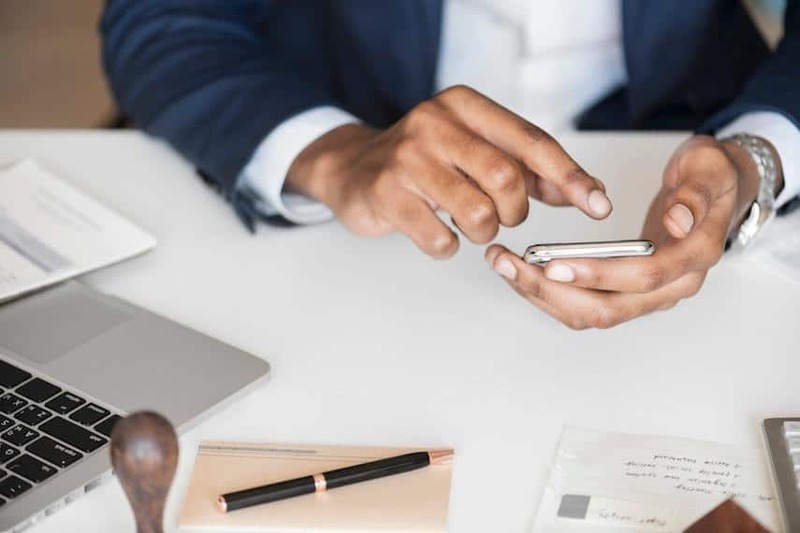 Deposit accounts are insured by the Federal Deposit Insurance Corporation (FDIC) up to $250,000 per bank, so there’s no risk of losing your principal in a checking account. You can pay from a checking account with a debit card, check, or an electronic funds transfer (EFT), and you can access those funds at any time. Checking accounts are separate from savings accounts, which have their own rules and regulations but are also insured by the FDIC. You can open a checking account without having a savings account or open both at the same time. 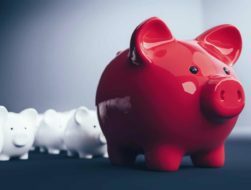 Consumers often choose to keep their long-term savings goals in multiple savings accounts while using a single checking account for daily expenses. The specific features of each checking account vary depending on the bank or credit union. However, there are a few common characteristics most of these accounts share. Though they’re not as useful or popular as they once were, checks are still a relevant financial tool. You get access to checks when you open a checking account, though checkbooks are not always free with your account. Thankfully, you don’t have to order checks from your bank. Online companies often have better prices, so shop around a bit before committing. They’ll just need your routing and account numbers to process the checks. Consumers have the option of enrolling in overdraft coverage, meaning you can use your checking account to make a purchase even if your account doesn’t have enough funds to cover the transaction. When this happens, you’ll be charged an overdraft fee. Users can also sign up for overdraft protection, which links a savings account to a checking account. When an overdraft occurs, the bank will take enough money from the savings account to avoid a negative checking account balance. Banks usually charge a small fee, between $3 and $10, for this transfer. You have to set up overdraft protection manually. When you get paid, your employer most likely deposits money electronically into your checking account, also known as direct deposit. Government benefits like disability or Social Security are also usually paid via direct deposit. This feature is available for both checking and savings accounts. To sign up for direct deposit, provide your routing and account numbers to your employer or whoever is depositing the money. Having a checking account allows you to send money electronically to another account or person. ETFs are free and usually take a couple days to process. An automated teller machine (ATM) lets you withdraw cash from your checking account. Every bank has its own network of ATMs, so it’s important to have a good understanding of which ATMs you can use. If you withdraw money from an out-of-network ATM, you may be charged an extra fee. Some checking accounts include free ATM fee reimbursement, which is another useful feature. Owning a checking account isn’t always free. The following is a list of common fees, but always check your bank or credit union’s fine print for others. Some banks charge users a monthly maintenance fee, typically ranging from $3 to $12 a month. These fees can usually be waived, either by having a regular direct deposit or a minimum balance of around $1,500 a month. Fulfilling the direct deposit waiver may not be an option if you’re self-employed, retired, or get paid in cash. In that situation, reaching the minimum balance is the only way to avoid the monthly maintenance fee. Sometimes you can have the fee removed if you link another account to your checking, such as a certificate of deposit (CD), investment, savings, or money market account. Many banks don’t charge maintenance fees, so it’s possible to avoid this fee entirely. If you’re sick of being charged for keeping a low balance, consider switching banks. When your checking account reaches a negative balance, the bank will usually charge an overdraft fee until you restore the account to a positive balance. Overdraft fees are around $34 on average and can be charged multiple times a day. Like with other fees, some banks don’t penalize customers for overdrafting. If you’d rather not switch banks, start tracking your balance carefully or sign up for overdraft protection. If you use a check to pay for an item and discover you’ve been swindled or scammed, you can call your bank to cancel the payment. The bank will often charge a stop payment fee, ranging from $15 to $35. You can access money in a checking account no matter where you are, even if you’re in a different country. Money held in a checking account is 100% secure because the bank or credit union is almost always FDIC-insured. This means the government will reimburse you if the bank goes under. Checking accounts also come with debit cards, which can be used to buy items both online and in-store. They’re as reliable as credit cards but tied to a checking account to keep users from racking up a balance. Banks also offer bill pay with checking accounts, allowing you to pay bills through your checking account without using a paper check. Customers can also create automatic transfers from checking accounts to savings and retirement accounts. Having a checking account can save you money if you’re currently paying to cash checks or take out money orders. While checking accounts are the most stable financial product, they do have their drawbacks. For one, checking accounts have extremely low interest rates. Even if you have as much as $10,000 in a checking account, you’re unlikely to earn more than a few dollars a year in interest. Interest rates for checking accounts pale in comparison to savings accounts, CDs, and money market accounts. Checking accounts are usually cheap, but not necessarily free. Many charge maintenance fees for simply having the account, sometimes up to $12 a month. The only way to avoid these fees is to have a high minimum balance or switch to a different bank. Using a checking account can also be inconvenient. If you deposit money in an account, it may take a few business days for the deposit to go through — bad news for anyone who needs money quickly. Checking accounts also rarely offer good fraud and purchase protection like credit cards do. If you buy a fake pair of Ray-Bans from eBay with your checking account, it will be difficult to get your money back. Using a debit card also has no influence on your credit, making it a poor substitute for a low-interest credit card. Checking accounts may seem simple on the surface, but you probably have a few questions. Here are the most common ones we get. On the surface, it might seem like every checking account is the same. In reality, picking the right one could save you hundreds of dollars a year. Consider the differences between Bank A and Bank B. Bank A’s checking account costs $12 a month in fees, offers .01% interest and has a small ATM network. Let’s compare that to Bank B, which has no monthly fees, pays .2% interest and has a broad ATM network. Choosing Bank B over Bank A could save you $145 a year in maintenance fees and interest alone, not to mention the lost time and inconvenience caused by a smaller ATM network. Fees might seem small in the beginning, but they add up quickly after years of usage. Losing thousands of dollars in fees over the course of several decades could have a serious impact on the earning potential of your retirement accounts, the progress of your savings goals, and more. You can open an account online, over the phone, or in-person. Most banks also require an opening deposit, usually starting around $25. You can fund this with a check or transfer from another bank. Unlike a credit card, it’s very rare for a consumer to be denied a checking account unless they’ve had issues with previous checking accounts. Most banks run prospective customers through ChexSystems, which is like a credit report for your banking history. A ChexSystems report shows if a consumer has misused a checking account, racked up excessive overdraft fees, or had a consistent negative balance. Once your new account is open, monitor it regularly to make sure you’re not being charged undue fees. You’ll also want to make sure your account hasn’t been compromised, as identity theft is more prevalent and more sophisticated than ever. An adult has to be present to open an account for someone under 18. Internet banks are becoming more popular these days, in large part because of extra features that many traditional brick-and-mortar banks don’t have. Many can afford to charge fewer fees because they don’t have to spend money on real estate, staffing physical branches, and other overhead expenses. Unless you need the in-person experience of going to a bank, an online checking account might be the best option. There are a few downsides to having an online-only checking account, like depositing cash. One option is to find an ATM that’s linked to your bank and accepts cash deposits. This depends on how wide the ATM network is and whether or not the ATM will accept a cash deposit. You can also pay a dollar or two for a money order, though the amount is usually capped at $1,000. If you want to deposit something like $5,000, you’ll have to buy five separate money orders. Alternatively, you can put the cash on a prepaid debit card. If you frequently get paid in cash, you may want to choose a traditional checking account with convenient locations for you to deposit money. 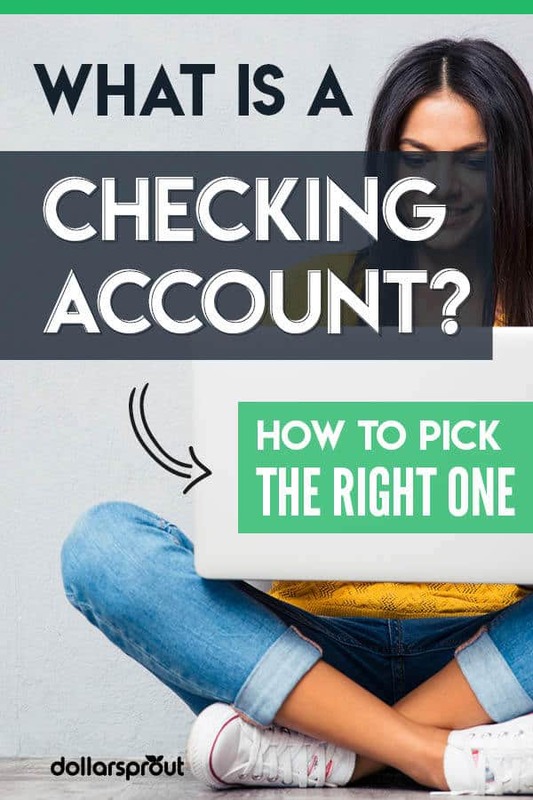 There’s no right or wrong way to pick a checking account — it all depends on what you’re looking for. Like with most financial products, your lifestyle and personality are the most important factors in determining a good fit. Consumers who frequently withdraw cash should find a checking account with a huge ATM network, or one that refunds out-of-network ATM fees. People who can’t afford a high minimum balance should choose a checking account with no minimum requirement. If it’s important for you to save on fees, pick a checking account without a maintenance fee or one that forgives overdraft balances. Compare local and national banks to see which option has the best features for you.